We are proud to be partnering with renowned companies across the globe; providing highly competitive products to a market that is hungry for advancement. Our diverse customer base demands us to be the best at what we do. Our cherished decade-long partnerships with companies like Lifetech IBL MPBio Applied Bio (See the list of our partners here.) empower our contribution to the Palestinian Medical sector. 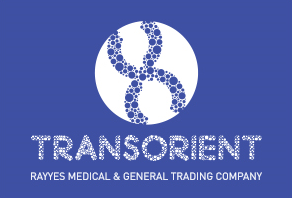 TransOrient-Rayyes has a technical foundation built by the best people in Palestine. At TransOrient-Rayyes, we are proud to be part of a collaborative community who’s activities save and enhance human lives in Palestine. We understand the responsibilities of being part of the Medical sector and adhere to strict Ethical and Quality control standards. TransOrient-Rayyes engages the community of Doctors and Students though Meetings and Lectures designed to inform them on the latest updates in the medical field.